The Hilton Head Concours d’Elegance, held November 4 – 6, 2016, represented the 15th annual automotive showing on the island. Hosted at the beautiful Port Royal Golf Club on a sunny fall weekend with above average temperatures, a great time was sure to be had by all. With Hurricane Matthew a mere 4 weeks prior, the grounds crew did a fantastic job preparing for the show. Hilton Head Mayor David Bennett made an appearance and spoke about the extensive cleanup that is currently underway for the entire island. The common message of “we will bounce back” was received loud and clear. This is the second Concours d’Elegance that I have had the opportunity to attend. 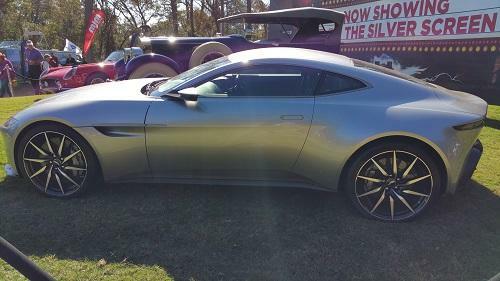 My dad and I had the pleasure of viewing more than 500 vehicles on display, showing the artistic and design efforts of Ian Callum (Director of Design, Jaguar Cars), Ralph Gilles (Head of Design, Fiat Chrysler Automobiles N.V.), J Mays (Former Chief Designer, Ford Motor Company), and others. An estimated 20,000 flocked to Hilton Head for the festival and helped raise money for victims of Hurricane Matthew. The Community Foundation of the Lowcountry accepted donations for relief and recovery efforts. 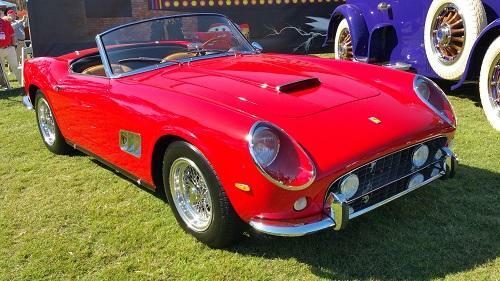 In addition to cars on display, the event hosted other activities including an automotive discussion panel, live car auction, a large display of boats and aircraft and a chance to test drive modern cars should you be in the market. Over 30 different classes of awards were also given to owners and their cars, with top honor ‘Best in Show’ awarded to a 1914 Stutz Bearcat. Following are some of my favorite cars at this year’s event. A one-off prototype constructed in France, this fully functional 1932 Helicron was on loan from the Lane Motor Museum in Nashville, Tennessee. Over the past few years, cars have been transitioning from naturally aspirated engines to the use of force induction for increased power and improved fuel economy. 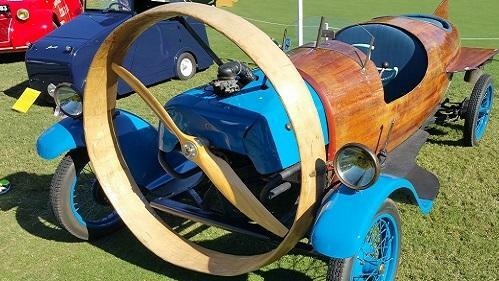 This year’s display of vehicles at the Concours d’Elegance only continued to demonstrate the evolution of twin turbo vehicles. Whether you are a fan of the Porsche 911 991.2 or the Ferrari 488 GTB, no one can argue that technological improvements have transformed these vehicles into road and track monsters. 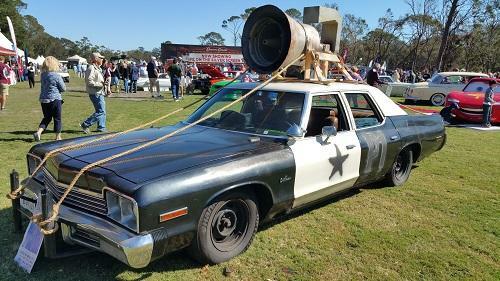 Although all the cars were incredible to experience, notable mentions for me included Back to the Future’s 1983 DeLorean DMC-12; 1963 Ferrari California Spyder from Ferris Bueller’s Day Off; and the Blues Brothers’ “Bluesmobile” 1974 Dodge Monaco. As in years past, the Concours d’Elegance has been broken up into different showings on Saturday and Sunday. 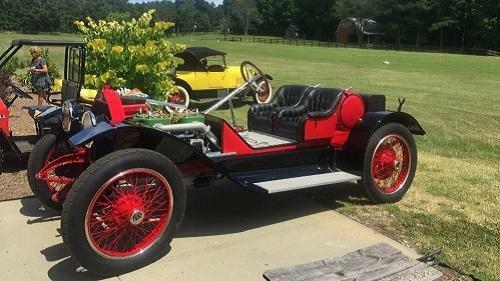 Contrary to the more modern mixture of cars on display Saturday, Sunday was dedicated to an older collection, mainly vehicles of the early 1900s. 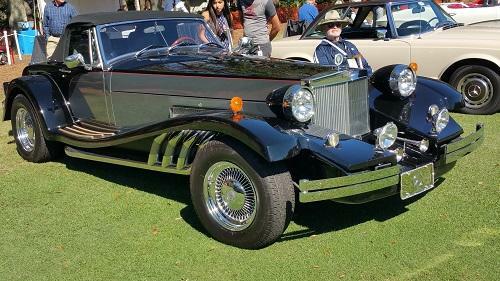 Several different manufacturers were represented including Cadillac, Ford, Lincoln, Packard, and Stutz. Although all the cars were extremely impressive, I would have to say that my favorite car from Sunday was the 1933 Clenet Series IV. The elongated hood, wide haunches and the black and grey two tone colors gave this car a very aggressive stance. Although this car may have been a reproduction, I would be more than happy to be the owner. 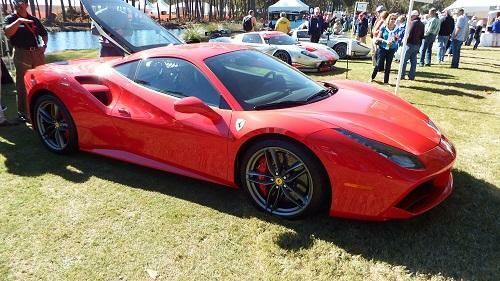 It was a wonderful experience to participate in the two day Concours d’Elegance on Hilton Head Island. I have not only been able view some of my dream cars, but have also been taken on a journey through automotive history. In a week where the Chicago Cubs won the 2016 World Series, I can’t think of a better way to pay homage to the Cubs, City of Chicago, and the Blues Brothers than to reference the famous address of Elwood Blues: 1060 West Addison Street a.k.a. Wrigley Field.